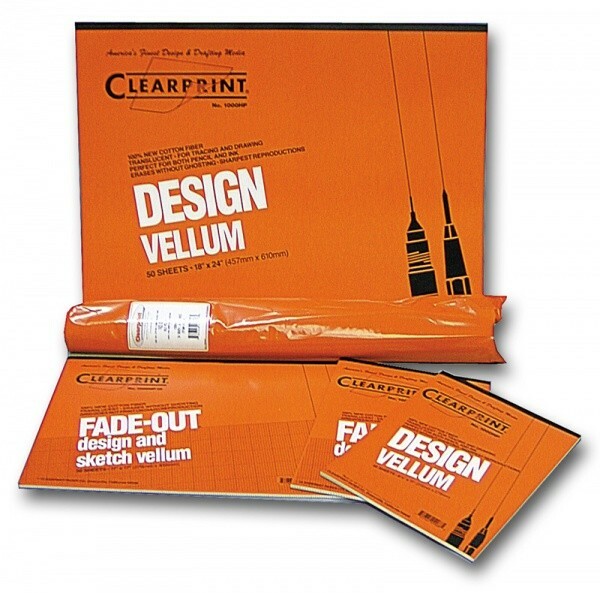 Clearprint 1000H 10x10 Grid Vellum Pads - GS Direct, Inc.
Clearprint 1000H vellum is a 16 lb. translucent 100% cotton media designed to give you a top quality drawing surface at an exceptional price. Available in 8.5" x 11" or 11" x 17" with 10 x 10 light blue Fade-Out grid in 50 sheet pads.